Whoever preaches forgiveness of sins without preaching repentance is not holding to Christ’s command. For He sets both together: repentance and forgiveness of sins. Wherever there is a broken and shattered heart, there Christ wants to live, Isa. 57:15, and wants to impart His blessings which He won through His death and resurrection. He, indeed, calls sinners to Himself, but (He calls them) to repent, Matt. 9:13. 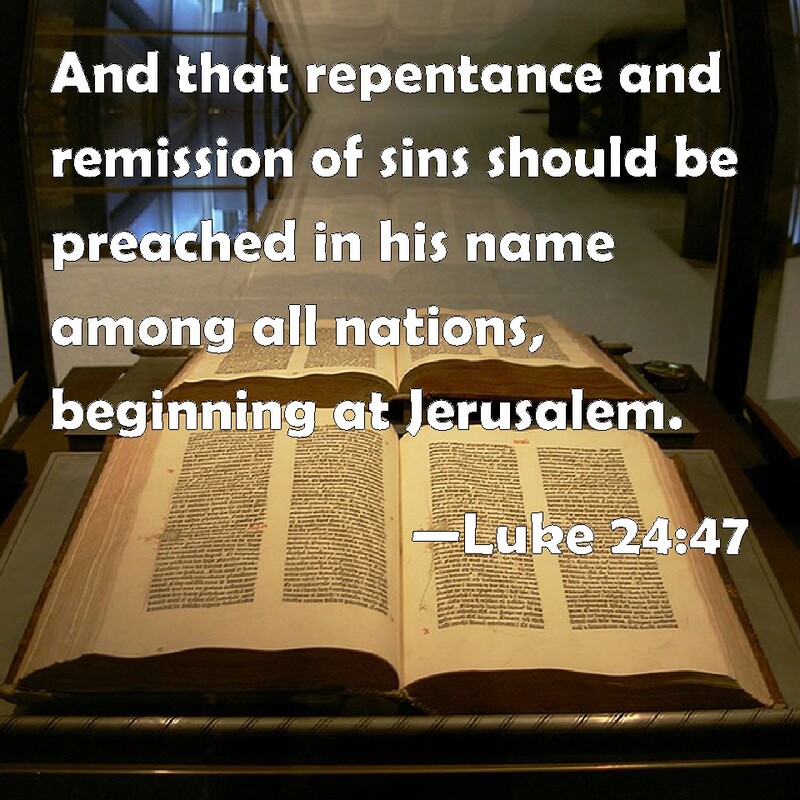 True repentance is the pathway by which sinners come to grace. We were widely separated from God by sin, Isa.5. Just as the Lord Christ promised His Apostles the Promise of the Father—that is, He wanted to send them the Holy Spirit and clothe them with Power from on high—so also He proffers to us the comforting promise that He does not want to leave us orphaned or comfortless; instead, He desires to send into our hearts the Holy Spirit, who makes us strong in the inner man and comforts us in every anxious doubt.